Local concert promoter, freelance music journalist and musician, Hunter Embry, recently announced a new original live music series at Zazoo’s which he is calling The New Vintage. Unlike other original monthly showcases around town, The New Vintage will occur weekly and debut on Saturday, February 5th featuring Scott Carney of Wax Fang, Cougar Experess, and Embry’s own band, The Bad Reeds. Other acts who’ve committed to perform future events include Relic, The Whiskey Bent Valley Boys, Supertruck, Slithering Beast, The Tunesmiths, OK Zombie, Jon Boy Slim, A Lion Named Roar and several others. “Being part of a local band, I know there’s only a few venues in town that do their part for the scene,” Embry said. 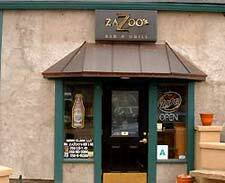 “Like those select venues, Zazoo’s will sufficiently promote each New Vintage show and bands will be fairly compensated for their efforts. It’s simple stuff, but some folks have gotten lazy,” Embry explains.